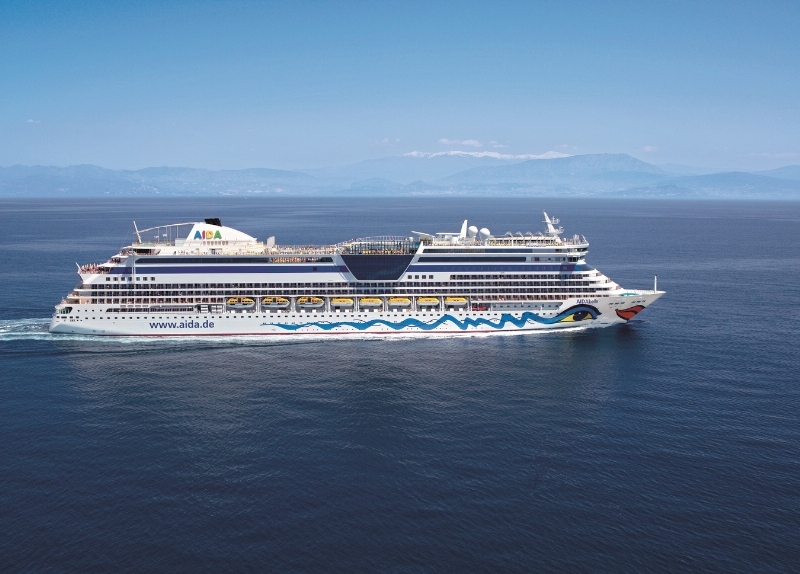 Carnival owned Aida Cruises has announced the Aidabella will be deployed to China from Spring 2017. It will be the first ever German cruise brand to sail from Shanghai, China. The German based cruise line will send the Aidabella to sail from Shanghai China all year-round starting from Spring 2017. It will be the first time a German cruise ship has sailed year round from the port. Shanghai is fast becoming the new cruise capital of the world with cruise lines shifting ships to the region to take advantage of the fast growing market. Aida Cruises is mainly catered towards German passengers but will cater for Chinese passengers with the Aidabella. Chinese people love eating and gambling so we can expect more of a focus on those. The 69,200 gross ton AIDAbella is 826 feet long and 105 feet wide, has 1,025 staterooms, 457 of which are balcony staterooms and suites. The ship was christened by top model Eva Padberg on April 23, 2008. It will be ready for deployment in China when it goes to dry dock at the beginning of 2017. Aida cruise ships are known for featuring those popular big vivid eyes and lips on the hull. Aidanova which is the largest ever Carnival-owned cruise ship is delayed. The ship which will be operated by German-based Aida Cruises will now take delivery later than expected. The largest ever Carnival-owned cruise ship operated by Adia Cruises will soon depart the Meyer Werft shipyard in Papenburg, Germany. A German pop singer is overboard a cruise ship near Newfoundland and a search is underway.